The experience in the temple was truly very rewarding. I offered my prayers and sought Maa Kali’s blessings for the health and prosperity of my family. It was my last day in Kolkata because soon I would have to head back to Jaipur, my home town. I had a desire to see the famous Howrah Bridge, Kolkata and for this reason I had asked the driver to take the route through the bridge. 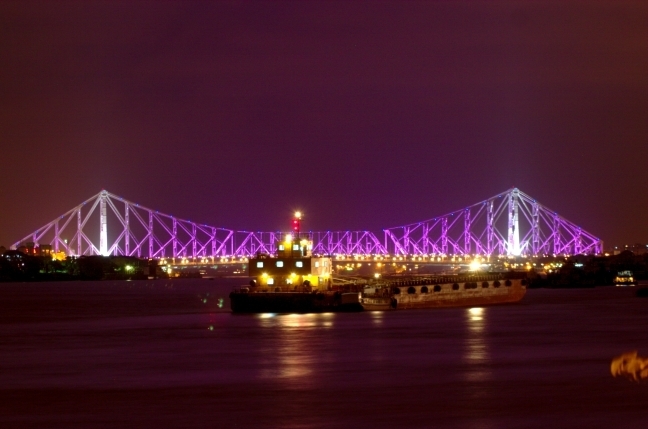 The Howrah Bridge connects Kolkata and Howrah and had been built for the same purpose. The yester years had seen a pontoon bridge prior to this, but later with the establishment of Calcutta Port Trust in 1870, the new bridge was proposed to be constructed. The bridge is now called the Rabindra Setu after the great poet Shri Rabindranath Tagore. Built over the Hoogly River, the designers who made the bridge possible were Rendel, Palmer and Tritton. Made out of steel, the actual construction of the bridge was entrusted to Cleveland Bridge and Engineering Company way back in 1936 that took about 6 years to finish the bridge. This is the bridge that also connects with the Howrah Station thus for people entering the city, this is one landmark they cannot miss. We made our way over the bridge. It had been lighted up and it seemed very pretty in the darkness of the night. It truly is one of the marvels of technology. On both the sides, cars whooshed by, I stuck my head out of the car window to feel the evening wind in my face. It felt nice and liberating. Howrah Bridge Kolkata is one of those landmarks that have stood the test of time and continue to do so and have seen all the periods of the city and its daily life. 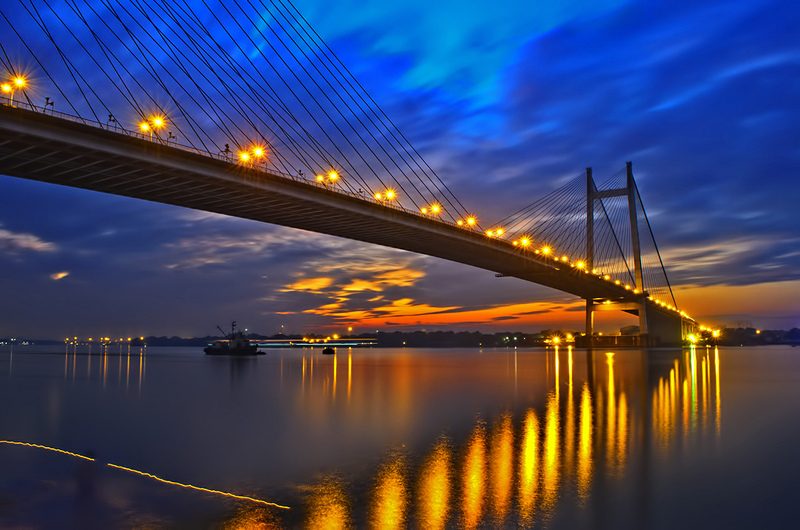 Its existence has now become synonymous with Kolkata and its people. I had a marvelous time here in the city and I would be forever grateful to Lord for this opportunity to visit this great city. If I am ever given an opportunity to revisit it, I would gladly do it and aim to visit the offbeat places now. This entry was posted in Attraction, Tourist Place, Travel and tagged howrah bridge kolkata. Bookmark the permalink.